Who's feeling brave and wants to go on an exciting adventure? Then fly into the air and set a course for the 13 islands! 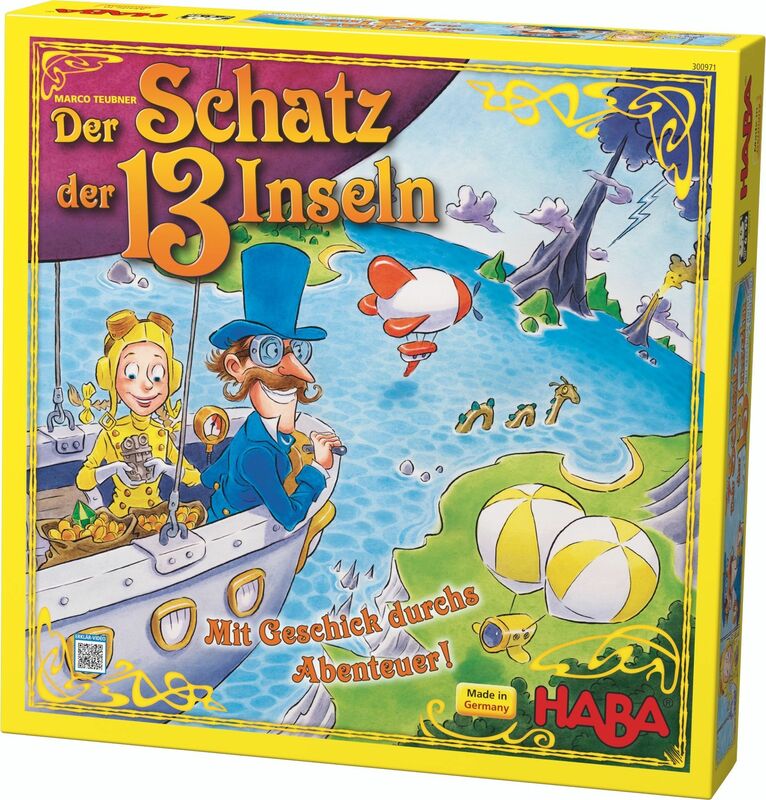 In Der Schatz der 13 Inseln, the airship must first travel to cliffs and volcanoes, then make its way through the dense fog. Part of the game is to collect rare artifacts and mysterious objects on the island. That's how a group of researchers will impart their important clues to help find the legendary treasure. But time is running out! Because other pilots have also been searching for the treasure. Who will be the first to unravel the mystery of the 13 islands and earn the legendary treasure?